There is so much and see and do! At Woodside Barn you are well-placed to enjoy the delights of the East Suffolk countryside and also the relatively unspoiled coastline of the Suffolk Coast and Heaths Area of Outstanding Natural Beauty. The AONB stretches virtually from Felixstowe to Lowestoft and within this area is National Trust property, RSPB's Minsmere Nature Reserve, Suffolk Wildlife Trust reserves, commons and areas designated as nationally important countryside. Country walks start at your doorstep as a Public Footpath crosses the old farmyard while many others abound in the local area and throughout east Suffolk. A gentle stroll along the farm access will lead to Friston's church, village hall and village green. But Friston is not just a rural oasis as links to local towns and places of interest are easy. 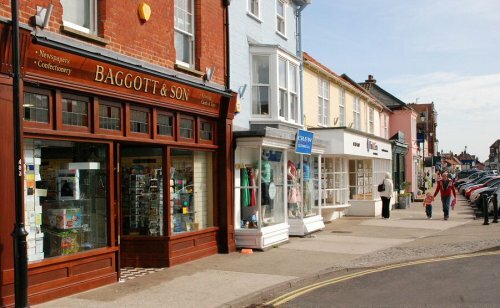 The bustling sea-side town of Aldeburgh is only about 4 miles away whilst renowned Snape, with its famous Concert Hall and retail outlets, is even nearer. 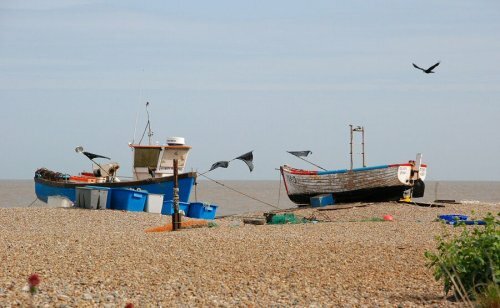 With their Festivals and Concerts both Aldeburgh and Snape are steeped in the love of music but also offer good food, shopping, events and entertainments and much more, with the constant added attractions of both sea and river. Aldeburgh also has an independent Cinema as does Leiston just to the north and which is also close at hand. The Long Shop Museum in the centre of the small working town of Leiston celebrates the town's industrial past. On the outskirts of Leiston is its ruined Abbey, now in the care of English Heritage and freely open to the public. Other English Heritage properties are castles inland at Framlingham and near the coast at Orford. 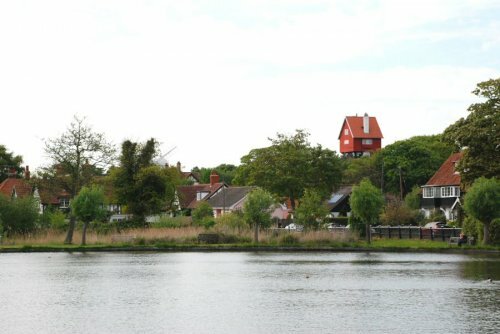 National Trust property is at Dunwich Heath, the fascinating Orford Ness, and of course the treasures of Sutton Hoo located overlooking the River Deben across the river from Woodbridge. While in the Woodbridge area a visit into the centre of town to the Tide Mill may be of interest. Wildlife lovers will enjoy the RSPB Nature Reserve at Minsmere where not just bird species are nurtured. You may see the shy deer of which there are several species or the European Konik ponies which graze the marshland here as they have proved very successful in this environment. More Koniks are usually easily seen at Hen Reed Beds, a Suffolk Wildlife Trust reserve near Southwold, and Dartmoor ponies are now well-established in Dunwich Forest. 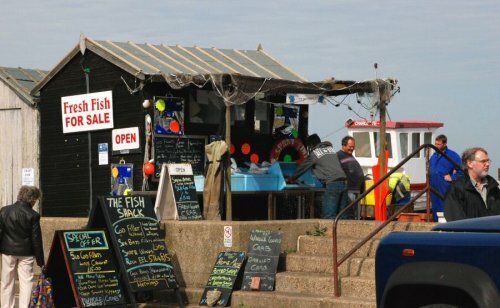 Southwold is a very well-known unspoiled resort, with a pier, colourful beach huts, and a working lighthouse which is often open for visits in the summer. Of course there is always the beach to freely enjoy, whether walking, sunbathing, kite-flying or what you will - don't forget to bring your beach towels! When staying at Woodside Barn you have the chance to relax but also to explore this part of Suffolk, with its big open skies, millennia of history, flora, fauna and culture. Unwind and enjoy your surroundings at any time of year. Information about the local and wider area, events, and attractions awaits you at Woodside Barn. If all this fresh air and sunshine gives you a hearty appetite you will want to experience local food and produce. 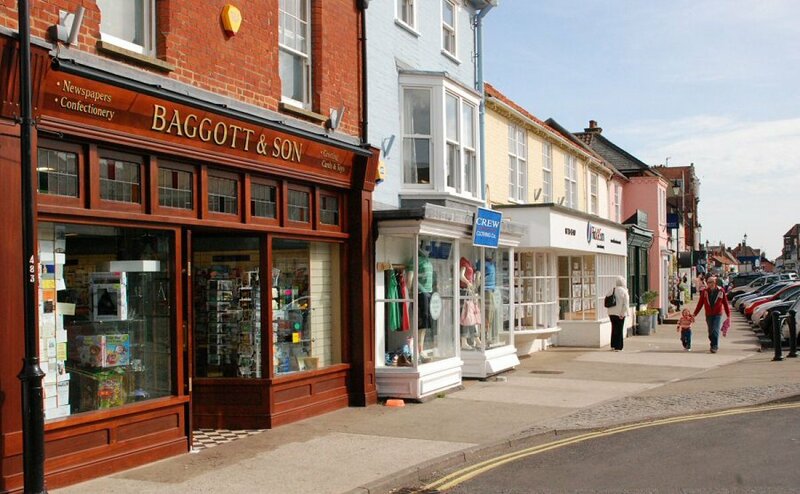 From bulk shopping at the Waitrose supermarket at the nearby town of Saxmundham to the locally produced specialist items such as Friston cheeses, this area of east Suffolk offers much in the way of quality food, retailers, farm shops, organic produce and restaurants. The owners of Woodside Barn are more than happy to give you information about what is available for you to to experience and enjoy in this lovely part of coastal Suffolk.